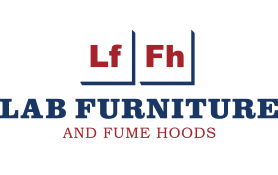 Laboratory Project Management | LFFH, Inc. The experienced LFFH staff always takes pride in the delivery of turnkey lab projects. Our project management methodology is based coupling the client(s) with one responsible individual from LFFH. We utilize this from the beginning of the process to the very end. Throughout the design process your project manager (PM) will educate your staff on how to reach informed decisions. This provides excellent results. Your PM will also be responsible for coordinating all communication with subcontractors. Your PM will inform you of progress at regular intervals. Your LFFH project manager will provide you with a solid knowledge base which has been developed over time. Their accumulated knowledge will provide you with a sense of comfort through the whole process. No opportunity will be missed. Your project manager will ask the right questions at the right time. Space and services are provided adequate attention in order for power, water and gases to reside in their proper locations.